Great movie, the narrative about the division between the predator and prey animals was pretty interesting and relatable to real life. 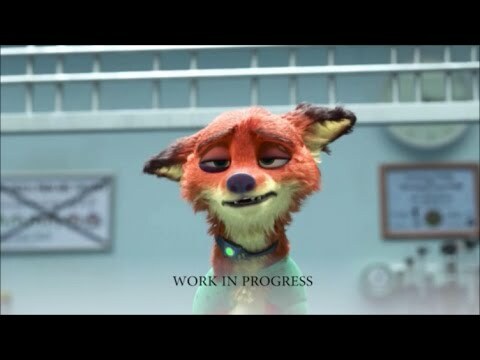 I like how the movie was told from the point of view of Judy and then introduced Nick into it who brought a contrasting perspective. The way the prey turned on the predators also showed how power dynamics can be reversed. A lot of people compared the division to racism but when I thought of Judy going into the police force in my mind it did have a hint of feminism, a female character taking on a more masculine power related role, maybe its just me who saw that but it was one of my first thoughts. Oh there was certainly some of that in there, for sure. Race/specism as well, no doubt. But I think on a broader scope, the predator/prey dynamic was more along the lines of a caste system. Did you notice most of the predator animals had the good jobs and the prey animals had all of the working class jobs? That movie really has layers upon layers. Yeah, I agree with Daryn, you're definitely correct that there's some feminist celebration in Zootopia. Just look at two of the most masculine characters - Lionheart and Bogo. Both of them, actually, are trying to do the right thing from the start of the film (Lionheart trying to stop the spread of savagery and Bogo to find all the missing mammals), but their brashness and anger is what limits them, and they have nothing to do with all of their raw strength. Contrast that with characters like Judy and Bellweather, who have far more feminine traits, and both really push the narrative forwards. And it's present in the personal storyarcs of characters as well - Gideon is hyper-masculine as the childhood bully, but then as he grows older and turns into a nice guy, he becomes more in touch with his feelings, he wears a pink apron and he makes a living off of baking. His feminine traits are shown as part of what has made him a nicer person. Likewise, Nick is more subtly masculine, in the sense of trying to avoid sharing his feelings. One of my favourite moments of the film is Judy reaching out to Nick after he shares his childhood story, and he pulls away and changes the subject, because he can't handle that emotional connection. And yet by the end of the film, he's far more open to expressing his feelings and dealing with emotions that the masculine world tries to suppress. He's shown to have grown and improved by dropping some of his masculine traits and picking up feminine ones, just as Gideon did and just as Lionheart failed to do. Anyhow, haha, yeah, I agree that it can easily be viewed through the lens of feminist critique. On another note, did you guys know that originally the pov character was going to be Nick? The original storyline revolved around predators having mandatory shock collars. Yes a caste system is probably the best way to see it, a sort of biological one I suppose. I did partly notice how the predators seemed to have the good jobs though I didn't notice as much what kind of jobs the prey were doing. I think perhaps the predators getting top jobs may show how the minority at the top have the most power. And often they can be born into it. Whereas the prey species are sort of the majority of people. Though Nick wasn't one of those who was into that, there was a sort of hidden hatred towards predators generally whatever their position just because of who they were. Yeah I think defo the femininist themes could be seen embodied in the characters personalities. The way they made the assistant mayor a female sheep looks almost like it does reflect somewhat the idea of how women are usually seen more towards the side and less powerful in the masculine way. This characteristic is then associated with the prey generally. One thing with the try everything theme i think it kind of reminded me of the american dream idea, anyone can suceed over here if they try hard enough, whoever they are. When Judy moved to zootopia I think this is the idea she had, although it wasnt quite what she expected, in the end things turned out good for her. I did hear how Nick was originally gonna be the main point of view and they flipped it. And nice clips of the original concepts. I'm glad they didn't go with the collar idea because I think it would have been to dark for children.